Since I've recently taken up knitting again, after a hiatus brought on my lack of pre-planning and sheep having to grow me some more wool, I got distracted by updating my Ravelry profile with projects that I've done over the last couple years. 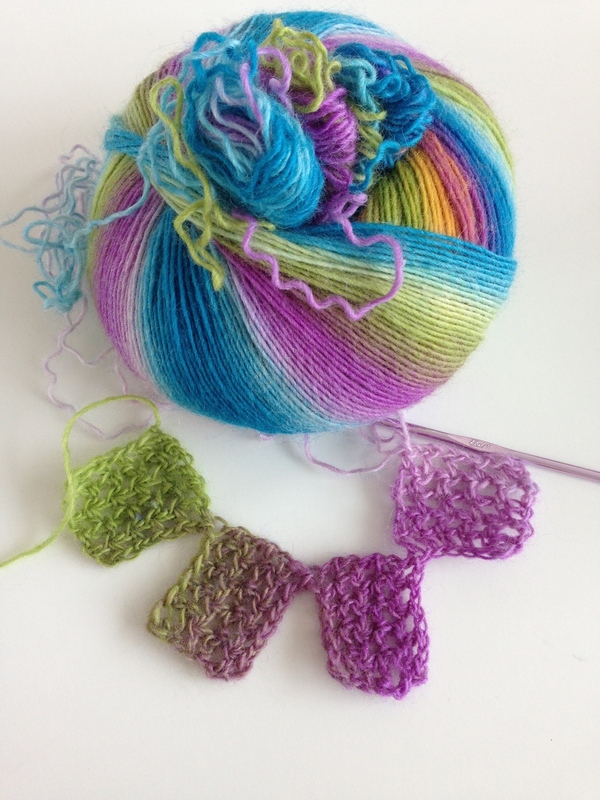 I am super bad at keeping up to date with Ravelry, much like can be with blogging (haha), but I realized that there are two projects that I have never mentioned before! The first is actually from a while ago, back when I was still living in AB. 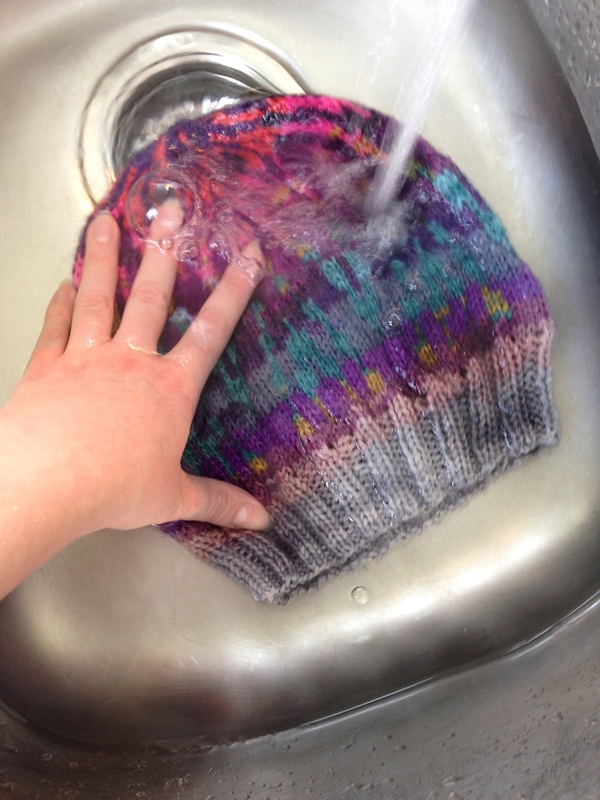 The pattern was posted by a favourite artist of mine: Azure cabled slouchy hat. 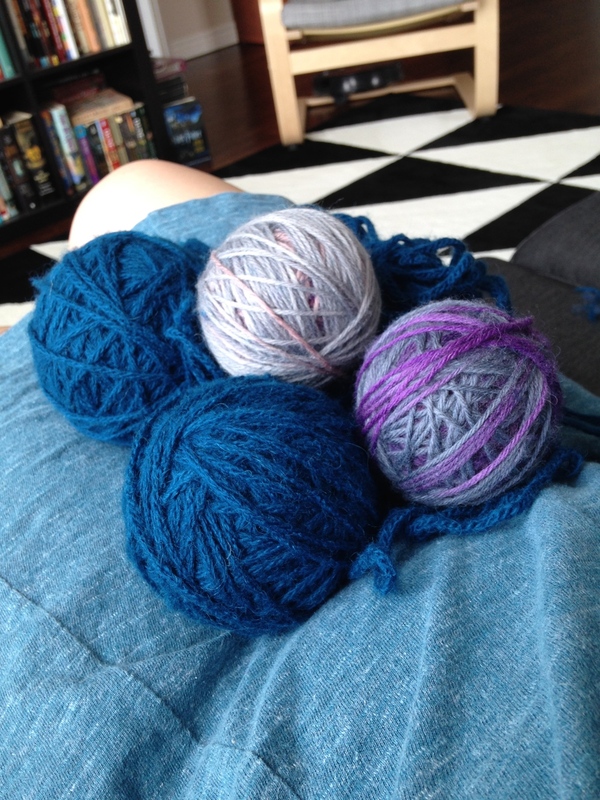 The yarn I found at a farmers market in Kelowna BC in October of 2013. Alpaca I'm pretty sure. And I Loved it and how soft it was. I kept the yarn around because I wanted a slouchy hat pattern with a cabled star. Azure's pattern was Perfect! Made it in April 2015 and have been wearing it everywhere since. The second is a pattern and yarn I had specifically sought out. The yarn, Classic Elite Yarns Liberty Wool, came from a store in Edmonton (now closed -GASP-). I fell in love with the yarn and, more specifically, the pattern for the slouchy that came free with purchase! It felt like space invaders. Love! 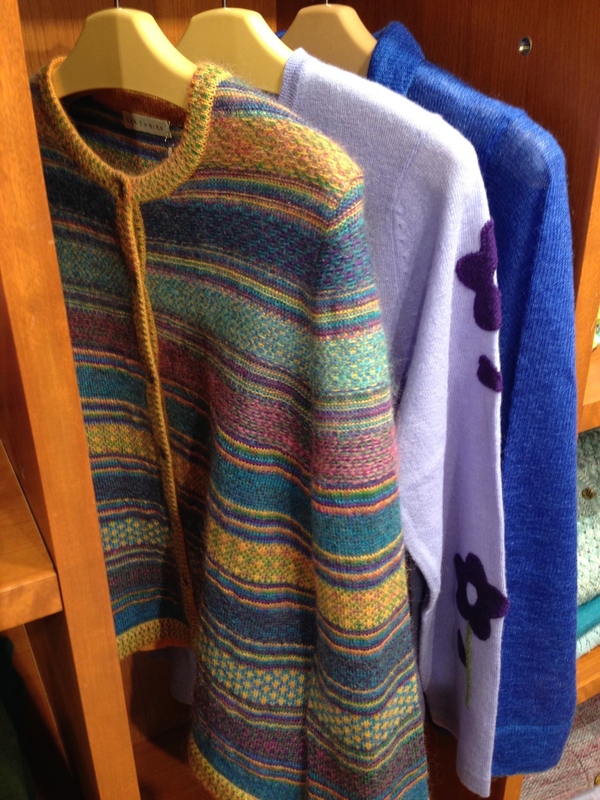 I actually ended up at Romni Wools in Toronto to get a contrasting colour to complete the look. 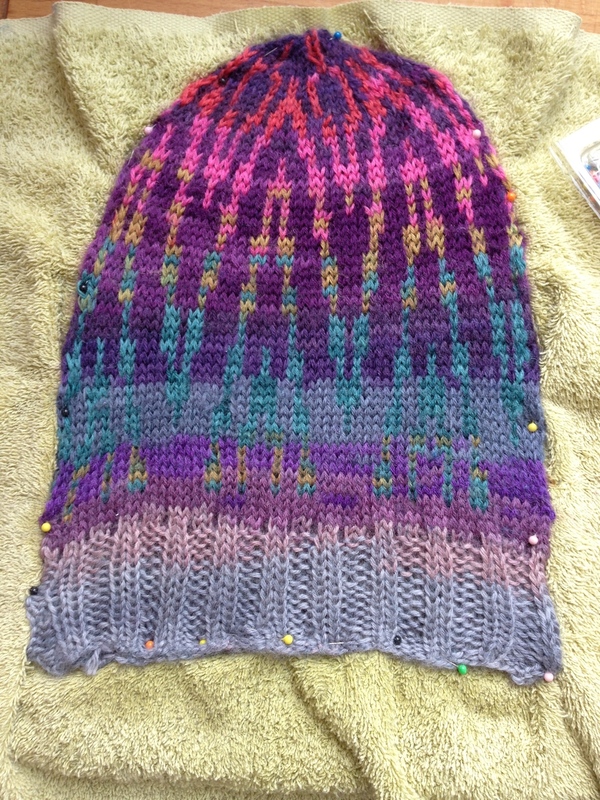 But after I'd finished it, it was so very tight that it looked more like a beanie than a slouchy hat. So it got stuffed into my finished pile where it lay until I fished it out for this post. I decided, disappointed memories a thing of the past, that I'd take the time to actually block it. I took the 20 minutes to soak it and got stretching. It's still not as slouchy as I'd hoped but it's much better! And hopefully with some wear it will relax a bit. 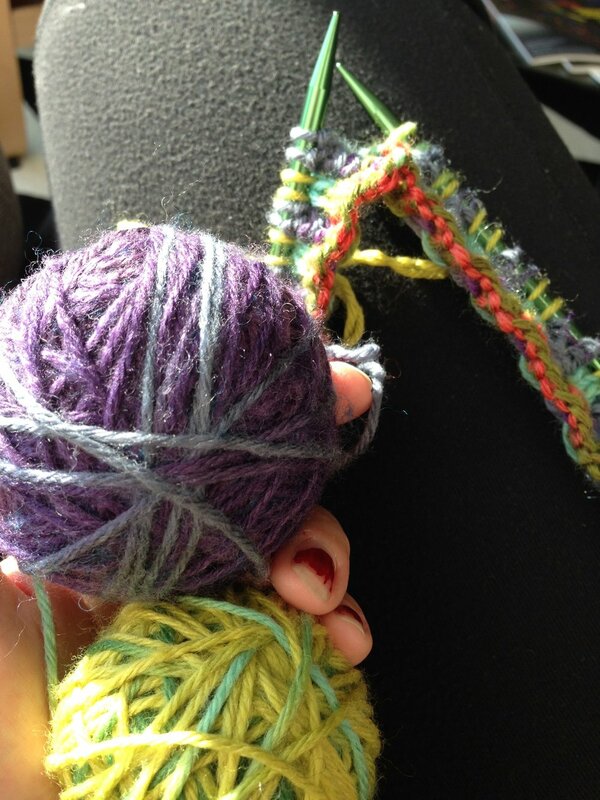 Knitting all the things! Just in time for the warm weather...? I suppose I could wear wool ironically? It's been forever since I knit anything. I've been working on my crochet skills (just making dish towels though, nothing fancy). And my last knititng project got put on hold because I ran out of wool. Unfortunate problem with using real fibers is that the sheep needs to grow more when the skein runs out! Haha. Anyways! 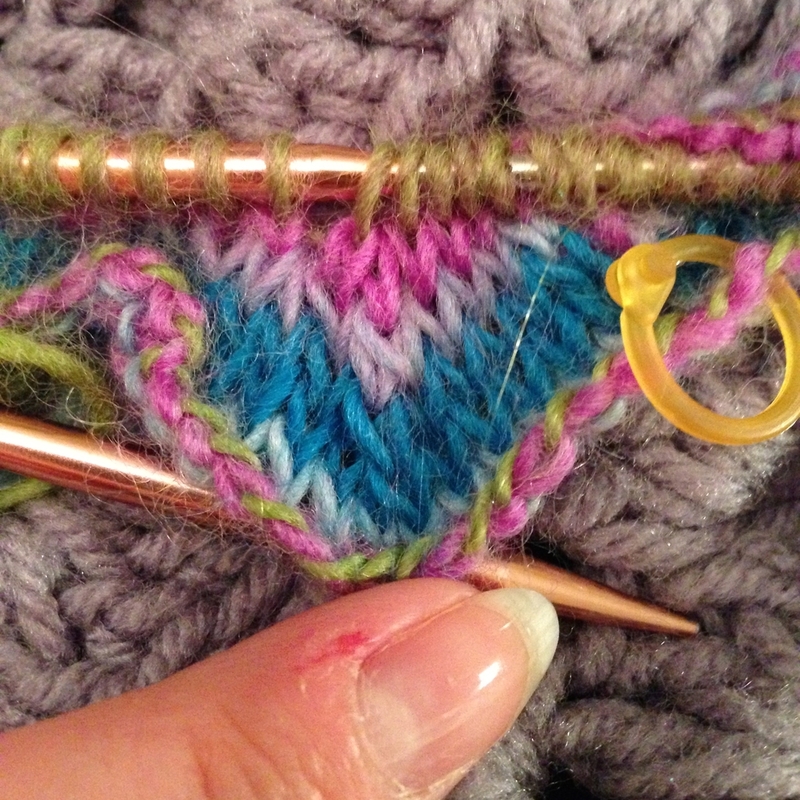 I bought this amazing wool in Japan from the Mitsukoshi store in Nihonbashi so decided to get back to knitting. Mitsukoshi was the Fanciest department store I have Ever been in. Not only was it the most clean and organized multiple-storey tall store I've ever seen, but it also was well staffed. I had a personal knit shopping assistant to myself when I hit up the Wall of yarns in the craft section. (There was also fabric... but I restrained myself.) The store also sold Handmade sweaters and hats, made In-Store. For real. There were ladies sitting at a table in the middle of the craft floor, dressed fabulously, knitting and making hats. Wat. Japan. Anyways again! Backstory of this lovely yarn complete. I wanted something special for this yarn. I got to pursuing Ravelry and also free pattern sites (my favourite is purlavenue.com) to find something. It turned into a bit of a process. 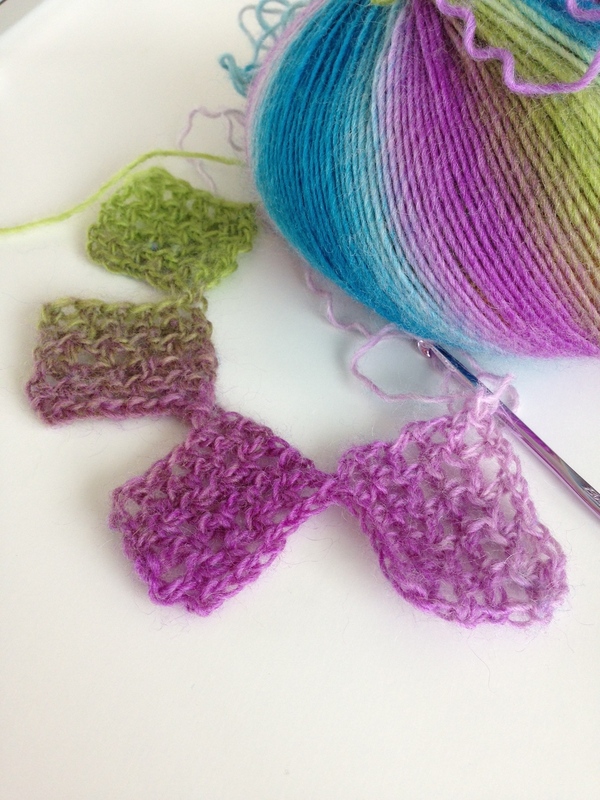 I started with this pattern for a beautiful leaf patterned cowl done on circular needles. I loved the look and the yarn fit the bill. 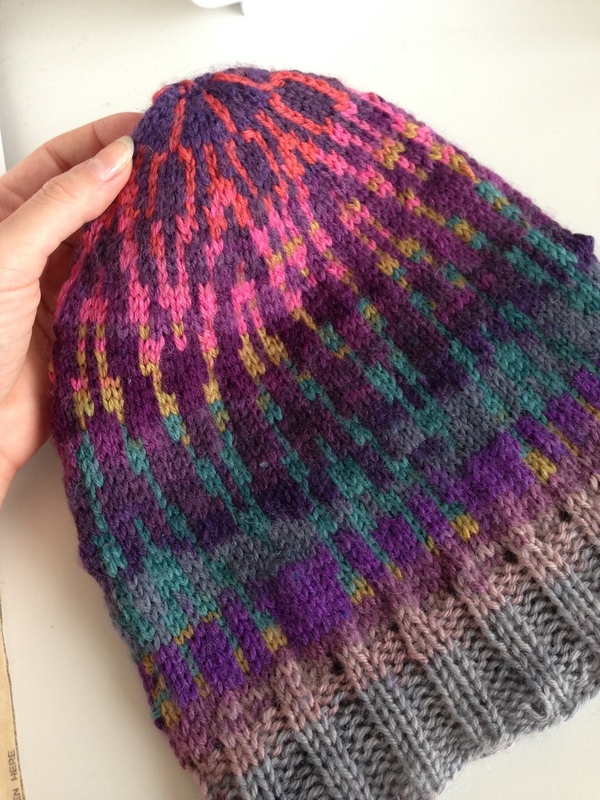 Unfortunately, the colourwise in my yarn was variegated in much shorter chunks than the yarn that was used in the example pattern. So the lovely fading colour turned into weird striping. Abort. Heading back to Ravelry turned out to be a good decision. I went through some past favourites from a million years ago and found this pattern. Sold. It even looked nice with some striping! Success. So I got to it. The pattern came with a Row Tracker, which initially also came with a groan of 'Ugh, learning' but was actually super simple to use: Finish a row, get a checkmark, never forget where you're at. Genius. I wish every project had this. And the colour continued really nicely, I think, and even when it started striping it got a very nice contrast. I still have to block it out. Which will happen eventually. She Says. Anyways. I've had a couple patterns that I've been sitting on for longer than I care to admit... (who am I kidding, 3 years!) and this was one of them. 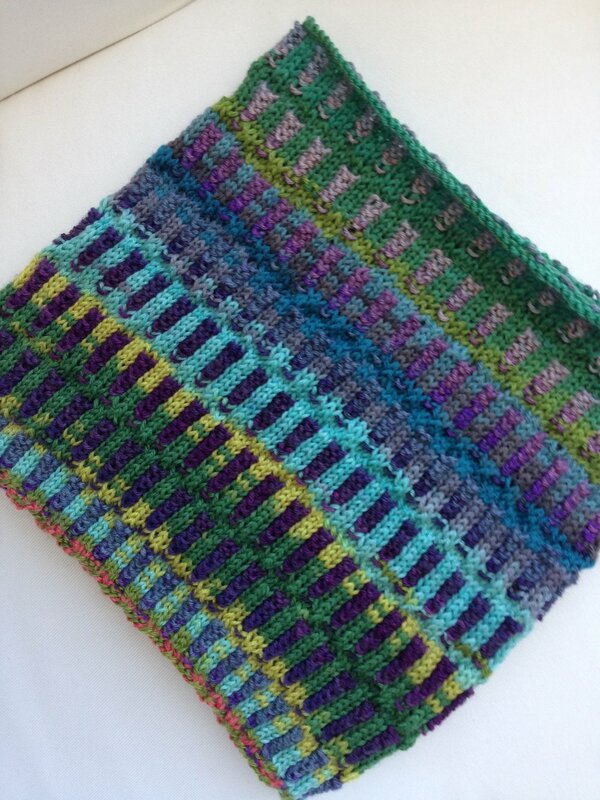 The Enterlac Scarf by Allison LoCicero was a pattern that caught my eye because of the way it looked. (Oh Ravelry, how you're as bad as FB as a time waster.) While looking woven, the scarf is in fact worked back and forth in a knit. 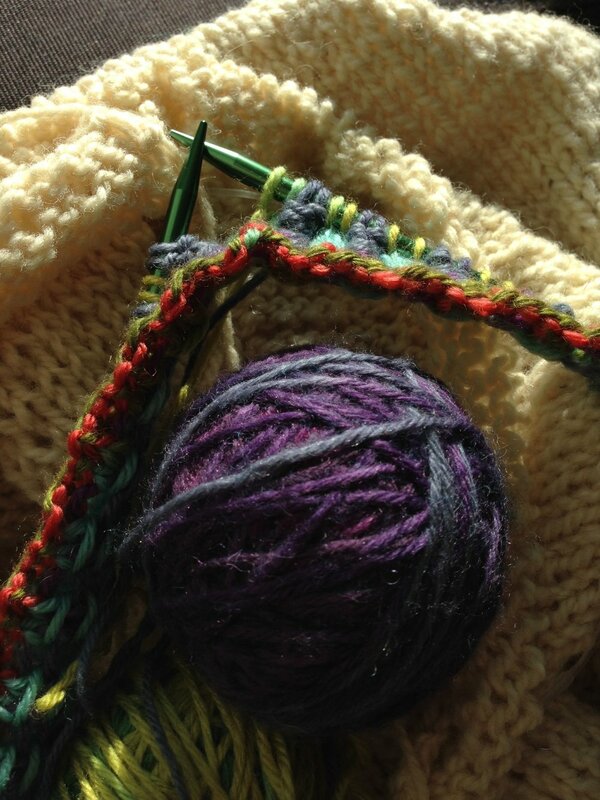 I had put off starting it because, she told herself, I needed the Noro yarn the pattern asked for. In all honestly, any multi coloured yarn would have worked but I finally did go hunting and found the yarn on Queen at Romni Wools. The pattern is super well written! While initially a tad daunting, once you get used to working the squares it goes by very quickly. Definitely a recommend! Just make sure you get all the same colour code of yarn... like I obviously did.... >>. Haha. Like many others, I am rather procrastinate-y when it comes to finishing my knitting projects. Before the new year, I made a beautiful irish mesh cowl (Curtesy of Purlavenue). It's had a rough time coming into being. I bought the yarn from a shop waaaaaay back in Edmonton. Alpaca yarn died the most beautiful shade of blue. Then it was promptly put into my knitting box and ignored. Then put into a moving box and ignored. It became very forgotten. I was not friendly to my yarn. And it payed me back. The tangled mess that resulted from the neglect took me 3 days evenings to untangle. Finally free from it's purple friend/fiend, I followed the lovely purlavenue's pattern (adding a couple extra knits for my wide shoulders) and finished a lovely cowl. But it's sat finished waiting to be blocked for ... two month now.